The Ford GT-inspired “GTT” from Zero to 60 Designs – which is based on the S550 Ford Mustang – drew our full attention when it bowed at the 2016 SEMA Show in Las Vegas. After a couple of months and much speculation as to whether Zero to 60 would ever actually offer it for sale (thanks to the looming, implied threat of a lawsuit from Ford), we now know the answer: yes. Zero to 60 Designs just announced pricing and specs for the Mustang-based GTT earlier today, revealing a starting price of $124,950 for the base model. That’s a lot of coin, most of which undoubtedly goes toward the custom “race car composite” body, but the rest pays for custom paint, custom 22-inch Zero to 60 wheels wrapped in Pirelli P-Zero tires, a custom Magnaflow exhaust, an Eibach Pro-Street Coilover suspension kit, and of course, the base 2017 Ford Mustang GT itself. 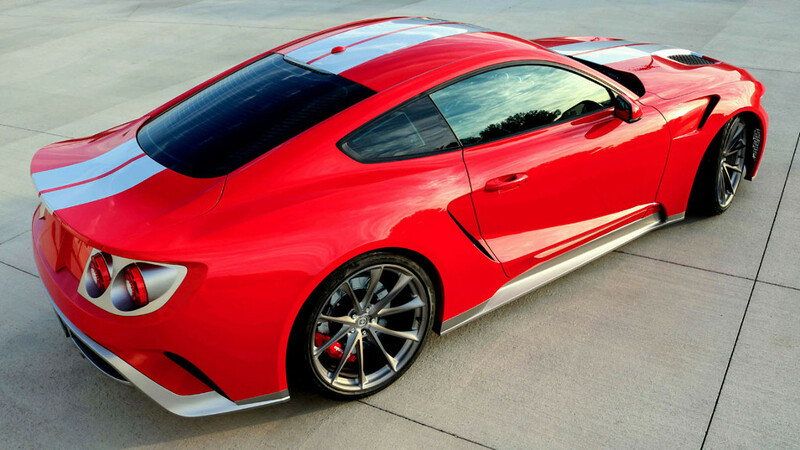 Toss in another $17,550 and you can step up to the Zero to 60 Designs “GTT-S” (total price: $142,500). That includes all the goodies found in the regular GTT, plus Eibach sway bars, Type III Brembo brakes, and a ProCharger centrifugal supercharger with a Stage II intercooler and the requisite engine upgrades. Oh, and Solar Gard tinted windows with a high SPF rating. And finally, for an eye-watering $149,000, there is the “GTT-SL.” It builds upon the foundation provided by the GTT-S with still-better 6-piston Brembo calipers and cross-drilled rotors, a full sound system upgrade with an amplifier, and a custom interior with performance seats, suede upholstery, a carbon-fiber interior kit featuring dash and door panel inlays, and more. The Mustang-based, Ford GT-inspired GTT will be limited to a total of 50 units, with production starting in January.